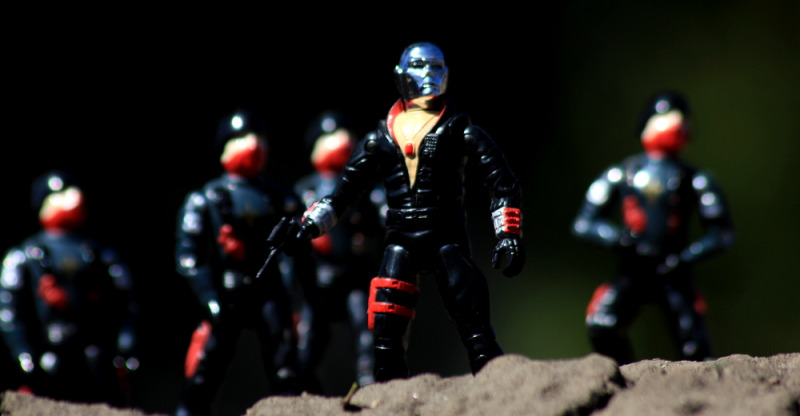 Description: Destro is an incredible figure. I have really split feelings on these IG Troopers. On one hand I love how they look, but on the other I didn't feel much need for them once I acquired a good army of the CAT Troopers. Thanks guys! The IG Troopers are a figure I really like for some reason. I totally see how they could be better. Great shot, Destro v1 does look good with those troopers. I agree with Mike, those IG troopers could be better imo. He’s my “unicorn” of the Joe line.... They do nicely as giving him his own distinct squad while still feeling connected to the Cobra organization. Great poses too! I haven't been enthralled by those IG Cobra Troopers. But, they do look good with Destro.